Don't get me wrong; I like a lot of adults. But holy crap, are a lot of you weird! You say one thing, and mean something else. You complain and moan about stuff, but won't do anything to change it. And you act like we're the weird ones - teenagers, I mean - and say we don't have any motivation, we don't have any responsibility, that kids in 'the old days' were more respectful, had more ambition. I get my grandmother saying that but even my mom says it, and she's not that old yet. That's why I like Merry. Maybe it's easier for her because she's not my mom, but she says she was plenty screwed up as a teenager and got into all kinds of trouble, so when she gives me advice, it's because she wants my life to be better. I just wish adults would realize that we know we're going to screw up. Isn't that supposed to be how you learn? So don't act like we're worse than any other kid who has lived in the history of the world. My grandmother does that all the time, even though I'm doing my best. Most of the time. Sometimes I get a funky attitude and it seems like I can't pry myself out of it. When I feel like that I get mad that I never got a chance to get to know my dad, and my mom is always screwing up and changing her mind about what she wants to do and... anyway. Some adults sure are weirder than others. Take this bunch from Haunt Hunt, a really cool TV show where they go into places and try to find ghosts, or spirits. They're doing a shoot at Wynter Castle to see if it's haunted. I thought it would be the coolest to kind of intern on the show, you know? Help them with whatever, and it has been neat. I get to handle some awesome equipment and watch them set up for shots and stuff. 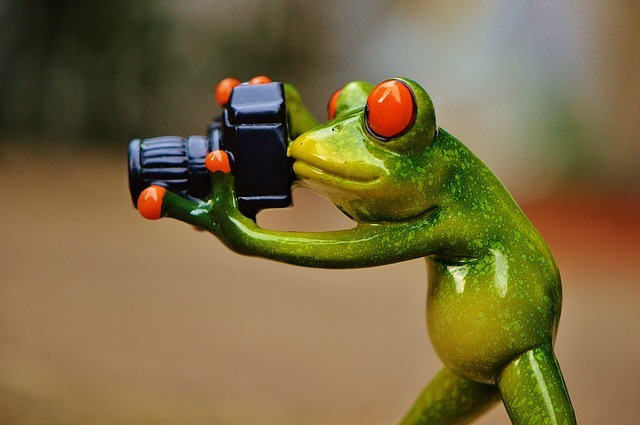 All I want to do is take pictures and learn about photography, so this is good. But there is weird stuff going on among them. Like... they have the best jobs in the world, and get to do neat stuff all day long, but still, all they do is gossip about each other, fool around on each other, and... blagh! What a bunch of losers. I can tell Merry is just keeping her cool barely, and she wishes they were gone. And I can tell she's keeping her fingers crossed that nothing happens while they're here. With this bunch, she'd better keep all her fingers crossed. And toes. Do you ever feel like... something is going to happen, you just don't know what? 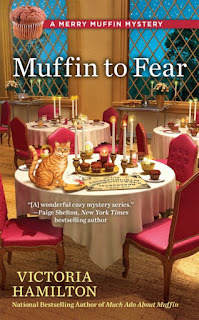 Watch for news from Victoria Hamilton about Muffin to Fear, Book 5 in the Merry Muffin Mysteries, as well as the upcoming release of Book 6 of the Vintage Kitchen Mysteries, Leave It To Cleaver. For all the latest from Victoria Hamilton, check out the website and at the bottom of the main page fill in your email address to sign up for the newsletter with all the latest publication news and upcoming promotions! I do have that feeling on occasion and something happens. Yes! I get that feeling a lot. I've had that feeling most of my life. I still have that feeling and it's like you see something at the edge of your peripheral vision but there's nothing there. First of all, I LOVE the cover of the book. And yes, I get a feeling something bad is going to happen quite often. I hate that feeling. It's like you see someone and your spidey senses go off and you start to wonder what is it about that person.